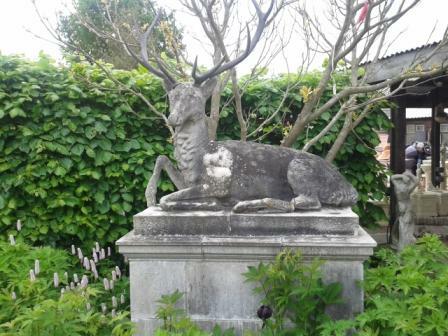 Home - What style of garden ornament will you have in your garden? 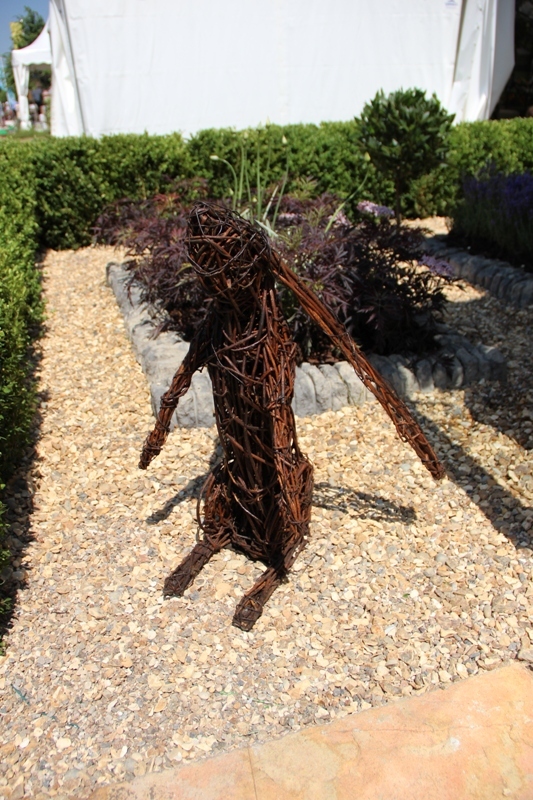 What style of garden ornament will you have in your garden? 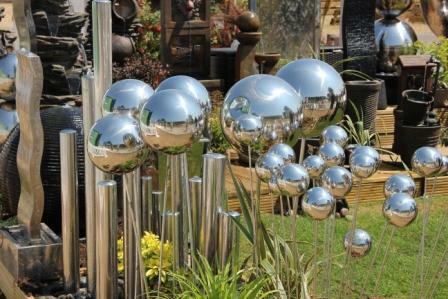 If you were fortunate enough to visit the Hampton Court Palace Flower Show recently, you will have seen a veritable selection of garden ornaments to tantalise and please the eye. They came in all shapes, sizes, styles, and colours, which would undoubtedly look amazing in any garden. Garden ornaments are a personal statement and say a lot about who you are. The choice you make is governed by the size and style of your garden along with your budget. Costing from a few pounds to a few thousands there’s something to suit anyone’s desires. For some of us, a stone figurine in the corner of the garden or peering from the shrubbery maybe enough. While for others the garden would not be complete without a life size statue of a Greek goddess, or a water spouting elephant or a prancing horse. A garden ornament can add a focal point to your garden, it can be small and simple, large and grand or modern and simplistic; they are something for you to look at, sit next to or admire from afar. Depending on the size of the ornament, they can either draw the eye or be an eye-sore; they can add interest to an area of the garden that you may not otherwise go to or look at. An ornament can add contrast to its surroundings with shape, colour and style. A Kingfisher sits on the side of a water feature. Following our visit to the Hampton Court Flower Show, it got us thinking about what we would like to add to our own gardens. Would it be a statue, a fountain or a garden gnome (They made it to Chelsea this year!)? What should we consider when choosing an ornament, or would we buy on impulse or simply on a whim? After a bit of thought, to our surprise there was a bit more to think about than first anticipated. Here are our thoughts and how we arrived at buying the perfect ornament for our gardens. Why do you want a garden ornament? – To remind you of a place you have been, or a person in your life? – To give a focal point? – To fill a space? 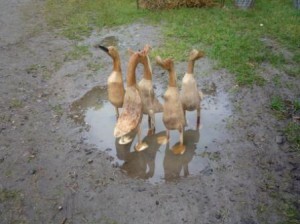 – Be realistic on the size of the ornament that will fit in your garden. 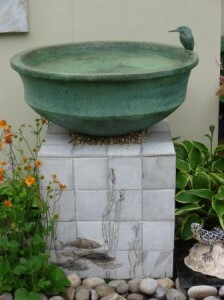 – Ensure that the ornament fits in with the theme and style of your garden. – Make sure the ornament does not look out of place, i.e. fairies in a woodland themed area and not perhaps in a modern hard landscaped garden. – Will the ornament reflect light into the garden? i.e. by using glossy and shiny materials including mirrors and stainless steel. – What material will the ornament will be made of ? i.e. stone, glass, plastic, bronze, marble, wood or wicker. Will it enhance the area it is to stand? – Consider the practicalities of moving the ornament around the garden until you find a suitable place for it to stand, and achieve the finished look that you are after. – If it is not enhancing the garden do you really need it? Where will the statue stand? – Measure the area the ornament is to stand. – Measure the ornaments height, length and depth. – Is the garden ornament heavy or light in weight? – Do you need help to install the ornament into your garden or is it something that you can do yourself? – If the ornament includes a water feature, do you need to have a water supply plumbed in? – Does the ornament require electricity? – Does the ornament need to be illuminated during darkness? – Be realistic on the cost of the ornament. Remember, too many ornaments and items of interest can reduce the effect they have on the area, work on the theory that ‘less is more’. We hope that these few simple steps will help you to make the right decision when choosing an ornament for your garden. Most of all, what ever you should choose, make sure that you enjoy looking at it. It should give you hours of pleasure admiring it from afar or up-close. It should be pleasing to the eye and not make you think ‘why did I put that in the garden’.